This past weekend we escaped to Niagara Falls for a mini getaway to enjoy the Grape and Wine Festival. We purchased a Discovery Pass that allowed us to go to eight different wineries and sample their wine paired with a food item of their choice. Since we didn't know a ton about wine we decided to choose the wineries based on what food they were serving. We had everything from sausage's on buns to butternut squash soup. 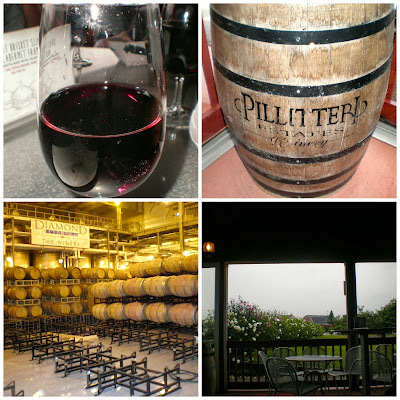 The Discovery Pass was well worth the money and we even found a couple of new wines that we really loved. Unfortunately we didn't get the best weather on Saturday when we were actually doing our wine tastings. 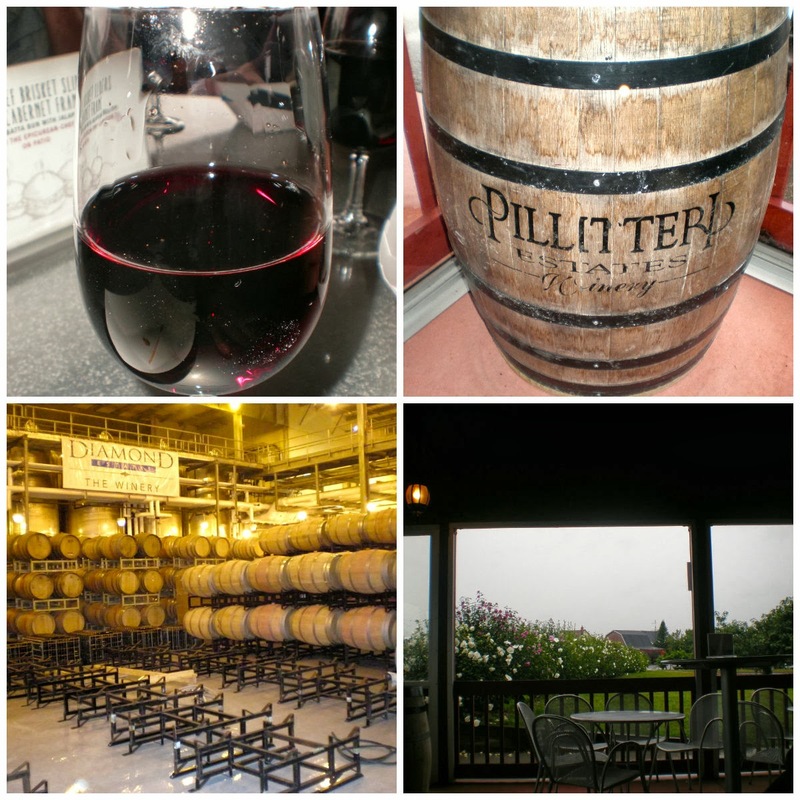 We choose most of the wineries in Niagara On The Lake and many people were biking from winery to winery. I would love to go back for another weekend and do a bike tour. It looked like it would have been a lot of fun if it wasn't raining. We were lucky enough to have a friend DD for us, so we weren't caught in the rain too much. Sunday turned out to be a beautiful day. Our Bed and Breakfast, where we stayed, was a short walk away from the Falls. Outfit: Coat: Forever 21 (old). Purse: Marc by Marc Jacobs. Jeans: AE. Boots: Century 21. Since we were only going for the weekend I packed light, only bringing one pair of shoes ( shocking I know!). A good trench coat was a must since it was raining and cool most of the weekend.